Medical Malpractice Help » Medical Malpractice Causes » Legal Information » Can Your Spouse Sue For Your AIDS/HIV Virus Misdiagnosis? If your doctor misdiagnosed AIDS or HIV, both you and your spouse may have grounds to sue. If your doctor misdiagnosed AIDS or HIV — either by diagnosing you as negative when you had the disease or as positive when you did not — you or your spouse may have grounds for a medical malpractice lawsuit and a lucrative award. Plaintiffs have won substantial malpractice awards from doctors who misdiagnosed AIDS or HIV. A Massachusetts man won over $18 million because a doctor failed to screen him for HIV despite his having multiple risk factors. 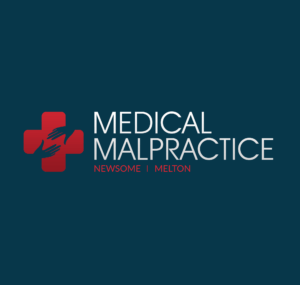 A lawyer from Newsome Melton can help you or your spouse pursue a medical malpractice claim for AIDS or HIV misdiagnosis. For a free consultation, call 855-633-2757 today. A false negative diagnosis of HIV or AIDS, where a doctor either fails to screen you for the disease or concludes that you are negative when you are actually positive, has a couple of potentially grave consequences. First, if you believe you are HIV negative, you will not receive the treatment you need to prolong your life and keep the disease in check. This is particularly critical if your HIV is on the cusp of developing into full-blown AIDS, at which point effective treatment options dwindle substantially. Second, being unaware of your HIV-positive status means you are more likely to spread the disease to others unknowingly. If you are married, then, obviously, the most likely person to contract HIV or AIDS from you is your spouse, who would then have a compelling case to file a malpractice suit against the doctor who misdiagnosed you. A false positive diagnosis of HIV or AIDS can also be damaging in a number of ways. Most significantly, the medications used to treat HIV and AIDS are powerful, often coming with a host of side-effects. Dealing with the side-effects is worth it when the drug is saving your life. But if, as it turns out, you are taking the drug for nothing, then the side-effects are a source of unnecessary pain and discomfort. You can also suffer emotional, social, and reputational damage because of a false-positive HIV or AIDS diagnosis. Perhaps your supposed status prevented you from starting what would have been a meaningful and fulfilling relationship. Maybe you developed depression from the unexpected and radical change the diagnosis brought to your life. If you are married, your spouse’s life was likely turned upside down as well; he or she also has a right to demand redress. If your doctor got your HIV or AIDS diagnosis wrong, you and your spouse have grounds for a medical malpractice claim, and a lawyer from Newsome Melton can help you recover compensation. To receive a free case evaluation, call our office at 855-633-2757.